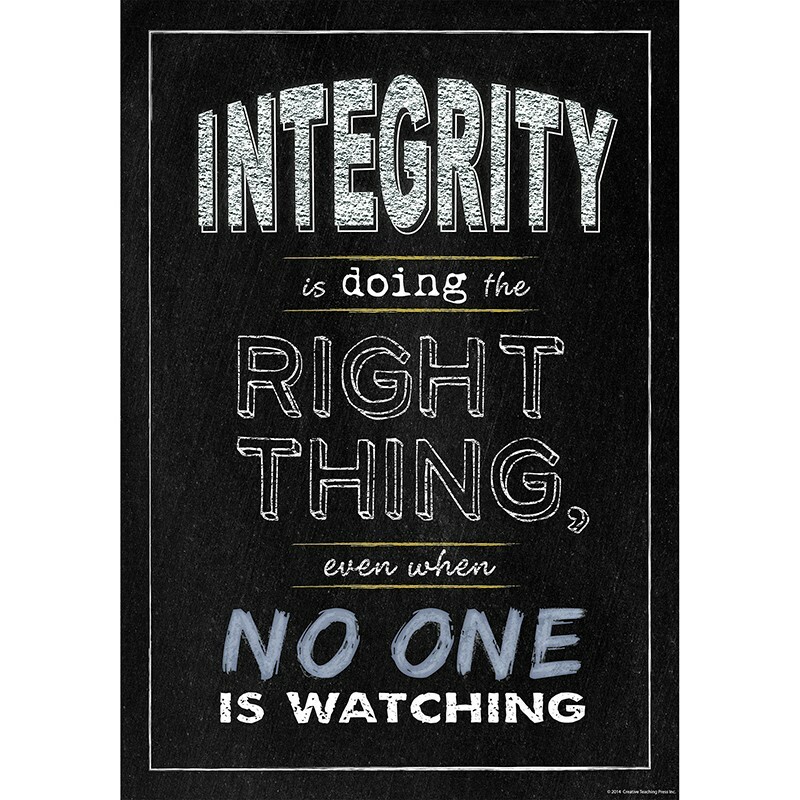 Integrity is doing the right thing, even when no one is watching. Inspire your students with the powerful message on this beautifully designed and trendy chalkboard-themed poster! Poster measures 13 3/8" x 19". Coordinates with other Chalk It Up! products.